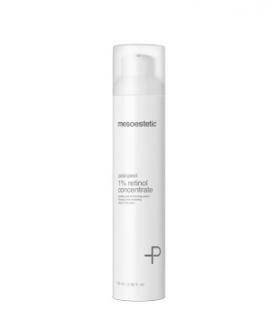 Ultra-concentrated serum that prolongs and boosts the renewing effect of mesopeel. A precise combination of active substances significantly improves the appearance of wrinkles and enhances skin elasticity. Its retinol based formula maintains the stimulation of fibroblast while triggering collagen and elastin synthesis.